Local government in Victoria collectively spends 40 – 60 per cent of their budgets on procurement – that’s more than $4 billion in goods and services each year. Victorian councils have an accumulated annual revenue of greater than $9.9 billion, and are responsible for over $91.2 billion in community infrastructure and assets. With over 15,000 sporting facilities, 44,000 parks and reserves, and 130,000 kilometres of roads and bridges to maintain – not to mention all the other services councils provide – the local government sector frequently collaborates with businesses to better serve their communities. 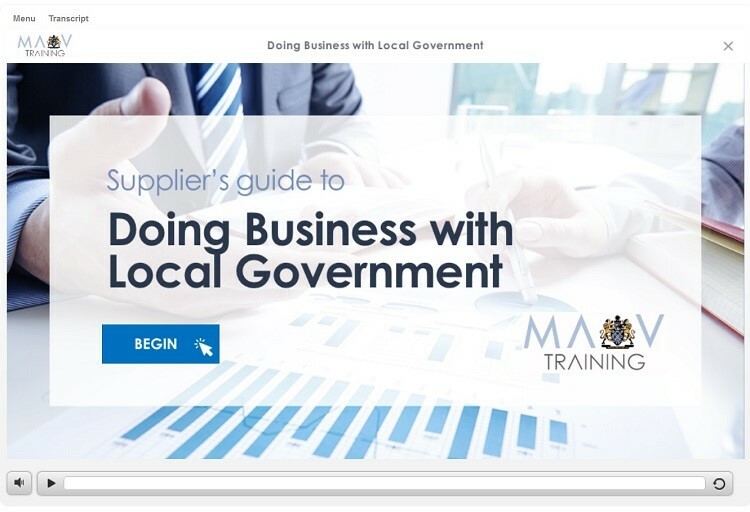 The Municipal Association of Victoria has created an eLearning module ‘Doing Business with Local Government’ to assist suppliers in building a successful, long-term relationship with local government.